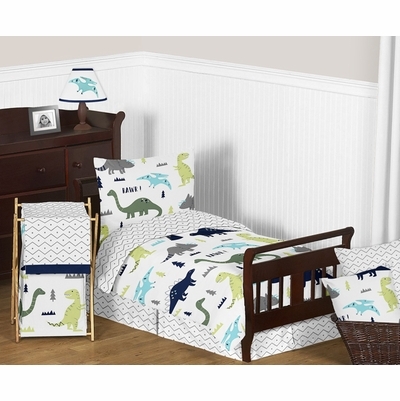 Blue and Green Mod Dinosaur Toddler Bedding set will help you create an incredible room for your child. 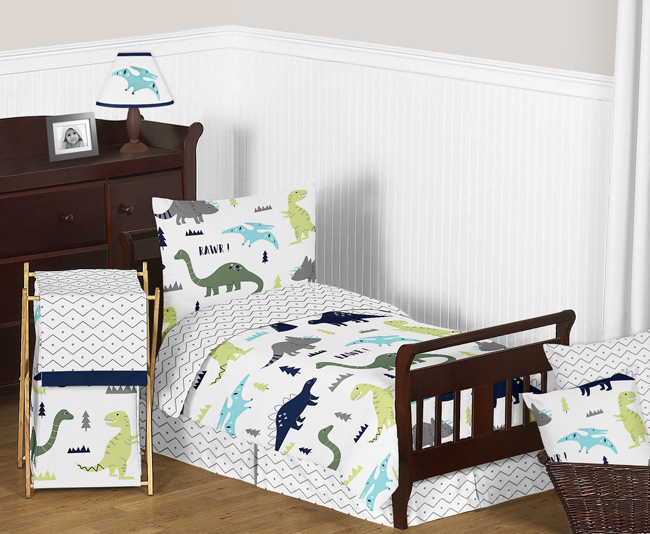 This stylish designer bedding set uses a multicolored dinosaur print and a coordinating chevron prehistoric print fabrics. This collection uses the stylish colors of navy blue, turquoise, lime green, olive green, grey and white. The design uses brushed microfiber fabrics that are machine washable for easy care. This wonderful set will fit most standard cribs and toddler beds. Mod Dinosaur Blue and Green Collection Wall Tapestry - 60in. x 80in.